What really happened during those first four fateful days of July, 1776? 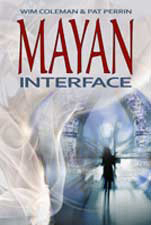 As the previous pages of this book suggest, the truth is somewhat at odds with popular legend. American independence was actually approved by Congress on July 2, not on July 4; the vote was twelve to zero, with New York abstaining. New York voted in favor of independence on July 7, finally making the decision unanimous. The adoption of the Declaration of Independence on July 4 was regarded by the delegates as little more than a legal formality—with important public relations implications, of course. Perhaps most surprisingly, there is no evidence that a signing of the document took place on July 4. The only signatures put onto the document on that day seem to have been those of Congress’s president, John Hancock, and its secretary, Charles Thomson. The iconic engrossed copy of the Declaration didn’t become available for signing until August 2. Many of its famous signatures were not added until weeks or even months after that. 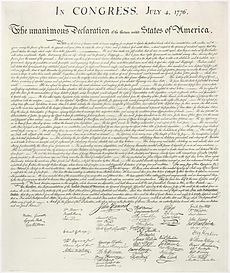 Some of the signers had not been present in Congress on July 4, 1776, to vote on the Declaration’s adoption, while some delegates who had been present on that day never became signers (Garry Wills, Inventing America: Jefferson’s Declaration of Independence, New York: Doubleday, 1978, p. 339). But the myth of a July 4 signing has proven very powerful—so powerful that Thomas Jefferson and John Adams both mistakenly came to believe that it had actually happened! Through good intentions and faulty memories, the two most important instigators of American independence generated their share of misinformation about the Declaration of Independence. John Adams was correct, however, when he wrote to his wife, Abigail, on July 3, 1776, “It may be the Will of Heaven that America shall suffer Calamities still more wasting and Distresses yet more dreadfull.” The Revolutionary War would continue its destructive course until the United States defeated the British at Yorktown in 1781 with the help of the French Fleet. Even after peace was declared in 1783, the new nation still faced the question of how to govern itself. The Federal Constitution, which went into effect in 1789, created a strong union but left the problem of slavery unsolved. It would take the tragic and terrible Civil War (1861-1865) to bring an end to slavery, but race relations in America remain deeply troubled to this day. With such a turbulent history, perhaps we should be grateful for the benign mythology surrounding our Declaration of Independence and its ennobling language. This entry was posted in Thinking about story … and tagged #4thofjuly, #july4th, #thomasjeffersonsurvives, 1776, Declaration of Independence, Fourth of July, Garry Wills, Independence Day, John Adams, Thomas Jefferson.